0 0515 hrs. T T 33.5 Snow just started and is a snow rain mix. The snow is currently only sticking to the colder surfaces. 1 0630 hrs. T 0.03 33.6 In the last 15 minutes snow has been falling as large aggregates of many crystals. But the snow is melting even on the elevated snowboard and not accumulating. However in the last 5 minutes it is now snowing faster than it is melting. 2 0730 hrs. 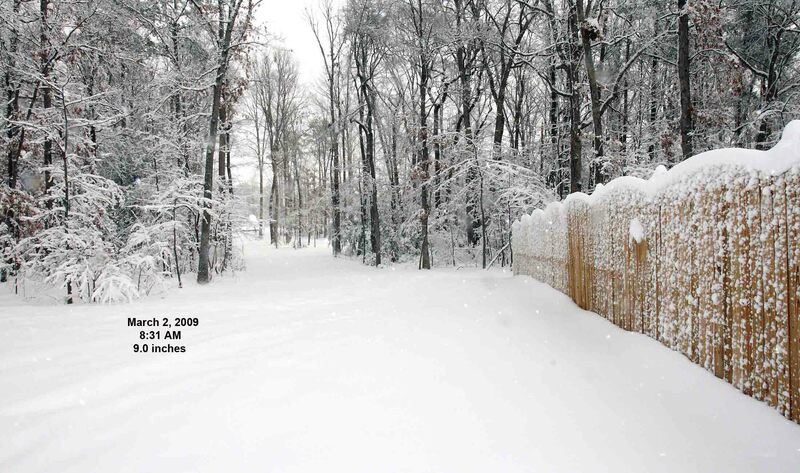 0.1 0.6 32.6 The snow ended at 0725 and it was only 0.1 inches as much of the snow melted as it fell.